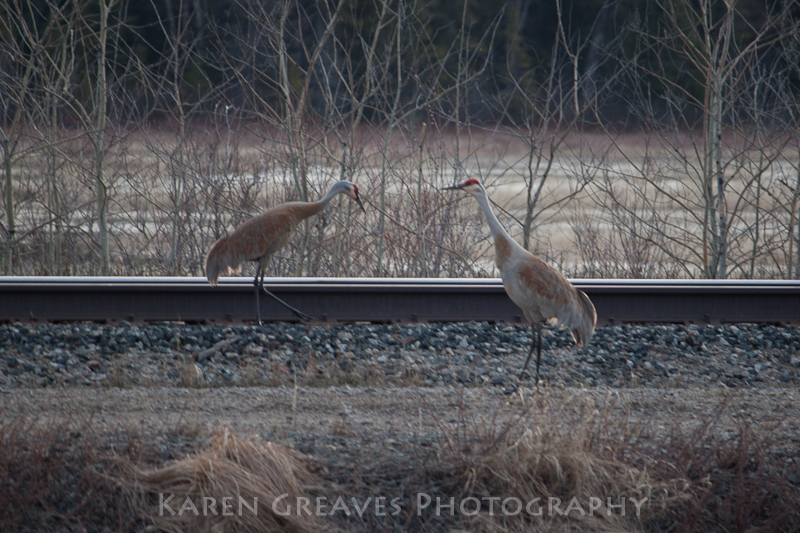 On our way to Thunder Bay early the other day, we spotted this pair of sandhill cranes grazing along the train track that runs parallel to the TransCanada highway just east of Upsala. We aren’t on their typical migratory path so this was an unusual sight. We were on our way to catch a flight of our own (to the west coast) so my capture time was limited.